Kerala No country for dogs? Kerala – Not the Dog’s own country? 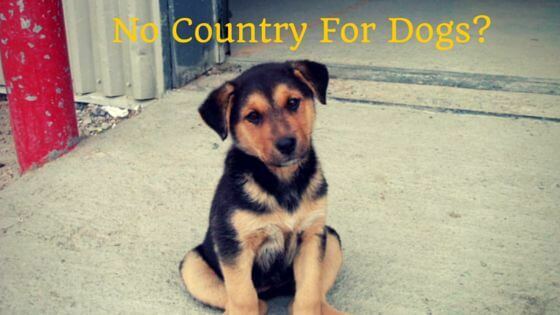 The Kerala State government’s decision to cull ‘rabid and dangerous stray dogs’ has triggered an online campaign with the hashtag ‘#BoycottKerala’. The Animal Welfare Board of India’s reported statement against the Kerala government decision called the culling decision ‘unconstitutional and barbaric’, and asked fellow campaigners to “hit Kerala where it hurts – their tourism”. Whilst this dog understands that hitting where it hurts the hardest – i.e. tourism would spell trouble for even the innocent but the failure of the state government, municipal boards, the animal welfare wings and the veterinary staff shouldn’t be borne by the dogs dubbing Kerala No country for dogs. To this public outcry within Kerala to cull stray dogs, perhaps they should see if the homeless are really at fault or if this incumbent fear and hatred has created monsters which were never there. Not the Frankenstein’s monster, they are said to be. This dog is not calling for a hate campaign against Kerala but against the atrocity that culling is. I’d spare you the graphic images of how the municipal board staff is treating the dogs but believe me that in no means is anything close to the ‘humane treatment’ as cited by the CM. Furthermore, who watches the watchmen – would a society already on the cusp of hatred against the canine even check for who the ‘rabid’ is? When dealing with stray dogs, the Prevention of Cruelty to Animals Act, 1960 and the ABC Rules hold the field over the provisions of the Kerala Municipality Act, 1994 and must be given the full effect. 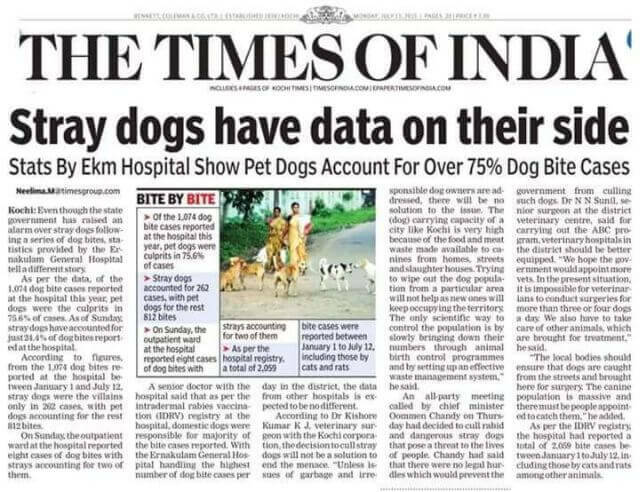 Any measures to undertake mass culling of stray dogs is unlawful. On July 26, there are protests planned to be held in at least 10 Indian cities (Kolkata, Mumbai, Delhi, Ahmedabad, Goa, Indore and Bengaluru) and the foreign venues include Hyde Park in London, Chicago, Boston, New York, Houston, Seattle, Sao Paulo in Brazil, Berlin in Germany and Italy. If not for the plight of the mute, perhaps to remain in the good books of the traveler community, the lawmakers would reconsider this callous decision of theirs. Hope floats. Previous Previous post: Movie Review White God : Rise of the Dogs!